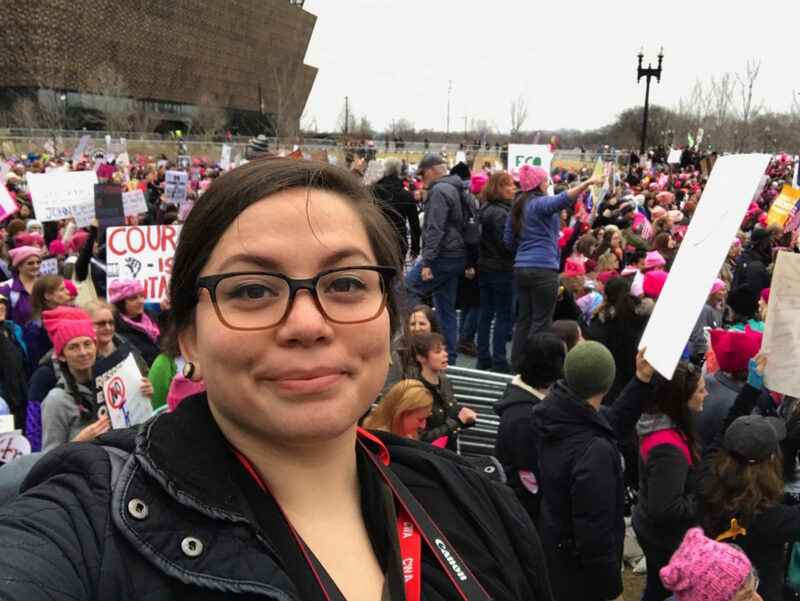 Murriel at the Women's March in Washington, D.C., in January reporting for "PRI's The World." Current is marking the 50th anniversary of the Public Broadcasting Act by illuminating the experiences that inspired people to choose to work in public media. 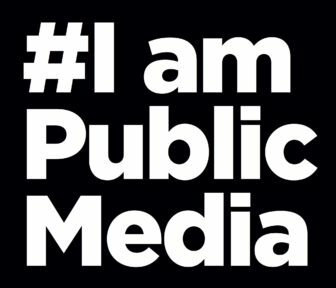 Every week, we are sharing their stories using the hashtag #IAmPublicMedia. Current is also collecting longer contributions, like this one. If you’d like us to feature your story, submit it here. I came to public media because it sounded real to me. I want to try to keep it that way. I started listening to Miami’s WLRN in college. Commutes are long in Miami, so I’d spend hours at a time in traffic, listening. The incredible sense-of-place storytelling on WLRN captivated me as I sat basically parked on the highway. Stuff like their Under the Sun series made me see my hometown both as I never had before and as I knew it’d been all along, but I hadn’t realized that others knew it that way, too. It was the same with NPR’s Tell Me More, sadly canceled since then. I thought Michel Martin and her guests on the barbershop segments were amazing. They sounded like my friends, like my life. As did WLRN. When I started as digital editor there a few years after college, I contributed to the overwhelming Miami-ness of that newsroom. We did stories about the international visitors of Ultra Music Festival, the only crocodile hanging with alligators in the Florida Keys, sea-level rise, traffic — our station’s sounds and accents aiming to represent the area we covered. Later I moved on to The World, another show I loved in college, because it made me care about geopolitics at 20 when I never had before. I covered immigration, the presidential campaign and the inauguration for The World and saw this country again in ways I never had. Growing up Latin in Miami, I seldom felt like a minority. That changed drastically last year. In the whirlwind that was journalism in 2016, I grew disillusioned. Individuals and shops I admired struggled to responsibly address increasingly overt discrimination arising in the public sphere. Fear of being perceived as biased led to apologist content. Some journalists and even whole newsrooms have recently demonstrated more courage than confusion in the face of violent domestic extremism. Reveal host Al Letson just this weekend made news for protecting a man from a beating at a rally. This is how public media can, and should, lead. We’ve always prided ourselves in telling stories about people, in our journalism focusing more on the human aspect of news than commercial media does. So let’s put our humanity at the forefront of our work. Let’s be people first. If we don’t prioritize mirroring the audience we want to serve, as so many stations like WLRN try to do, we risk losing touch. These days, that’s my goal. Childhood summers at the Chautauqua Institution led this now-retired executive to seek a mix of showbiz, education and culture in public television.